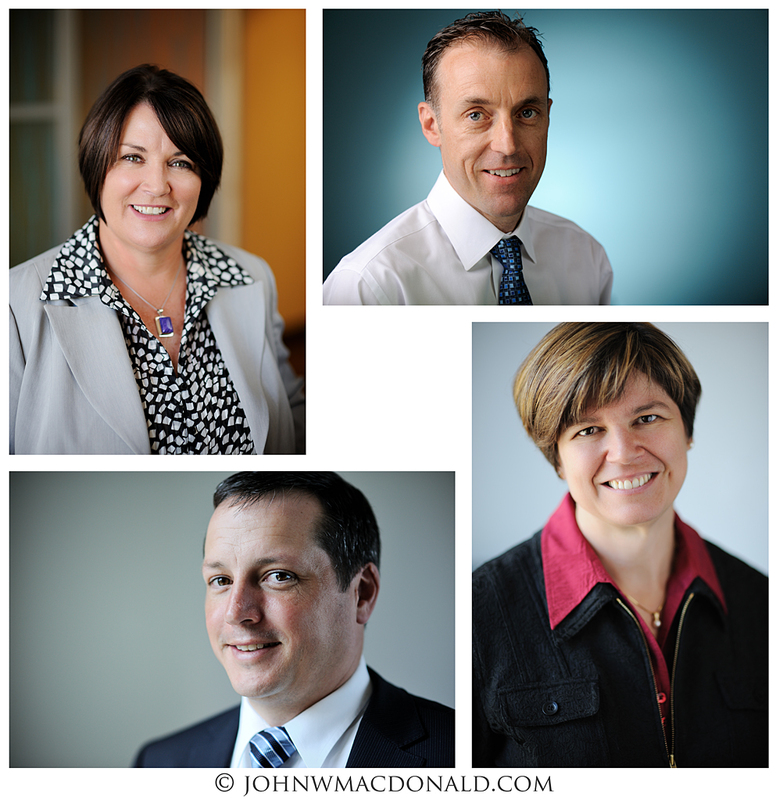 Last week I went back to a great repeat customer for some business portraits of their Senior Executives. This time I had some super assistance with the set up and carrying of my equipment from Alastair (seen in the previous photo I uploaded last week - he's the one with the Kodak colour patch). Lessons Learned: I also went to Canadian Tire last week and picked up a collapsible dolly to carry all the sand bags and C-Stands. This relatively cheap purchase really, really made things easier for us. Nothing like multiple trips back to the car carrying 100 lbs of sandbags and gear from the parking lot through crowds of people, sweating all the way. Made me seriously wonder if there was an easier way to do things. Duh!